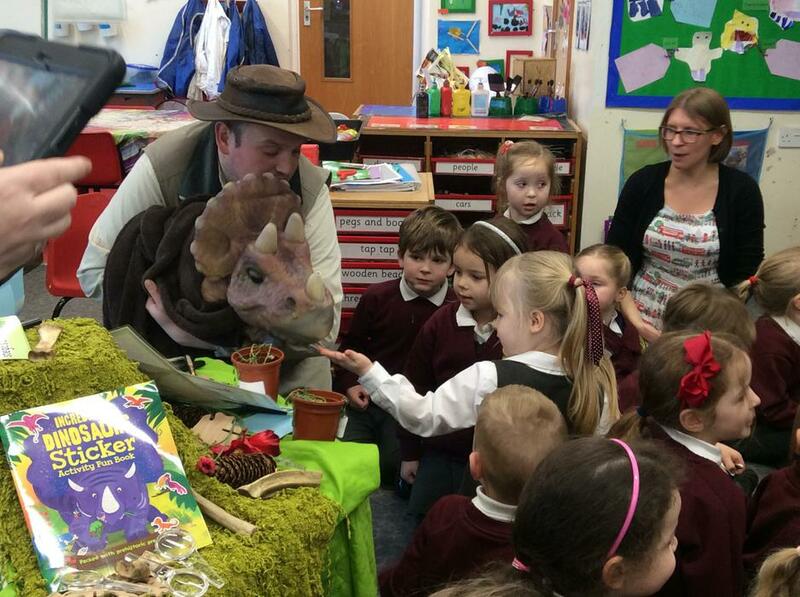 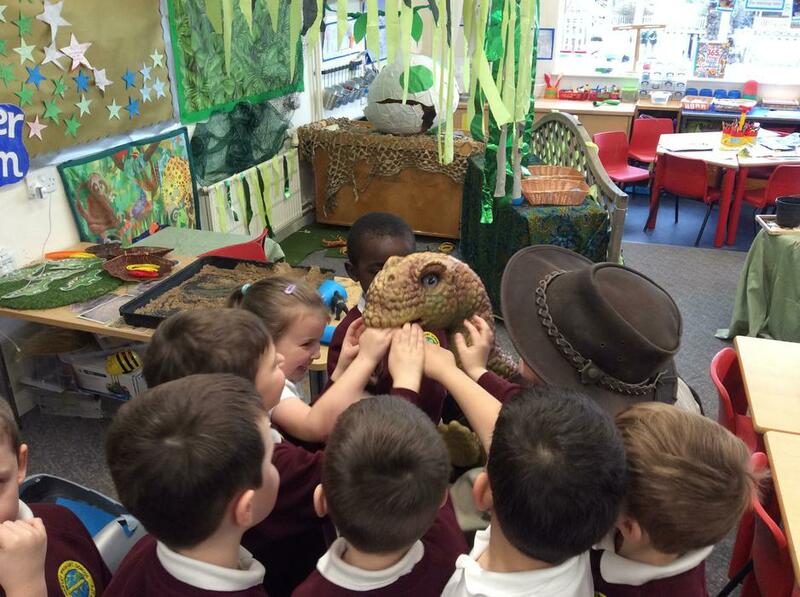 On the same day that a Tyrannasaurus Rex appeared during assembly, the children in Early Years were excited to welcome some special visitors to their classroom in the afternoon. 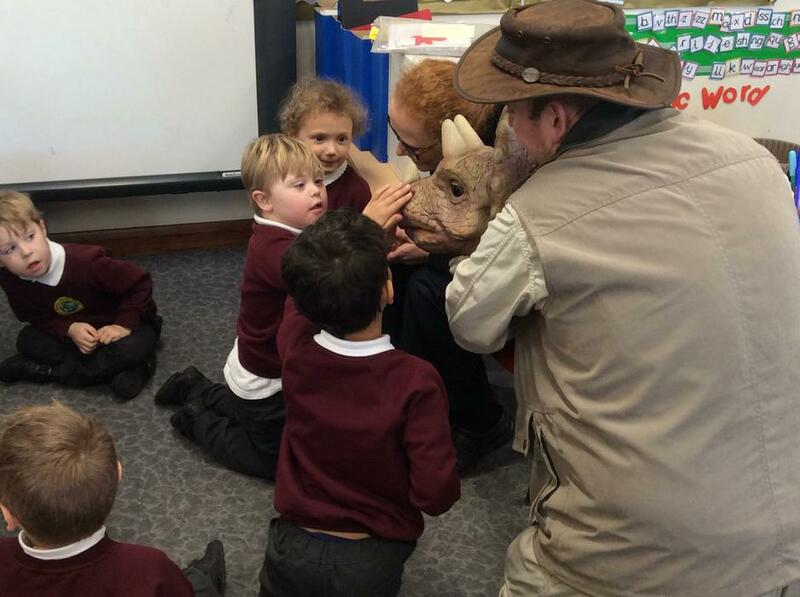 Two baby dinosaurs, a Brachiosaurus and a Triceratops together with their handlers visited both Giraffe and Zebra class to meet the children and answer questions about dinosaurs. 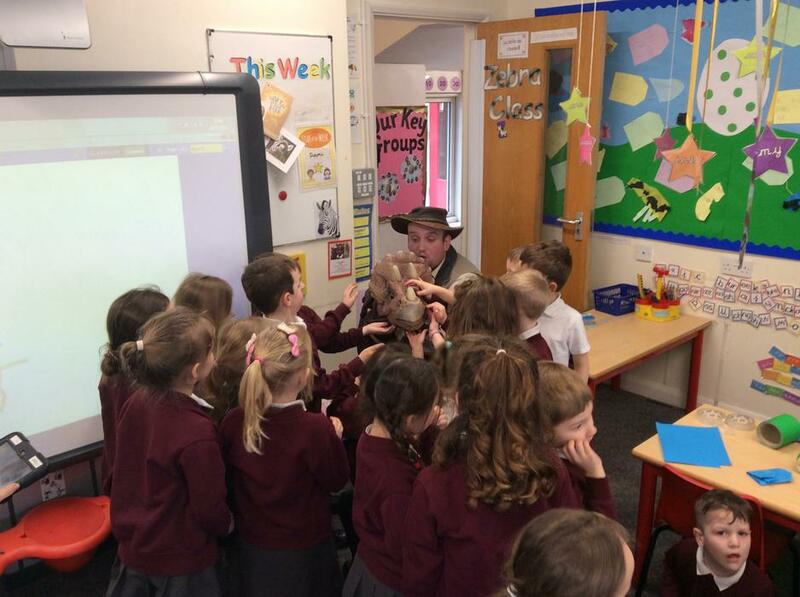 The two babies were a little badly behaved and kept biting each other but they behaved well enought to allow each child in Year R to have a photo taken with them. 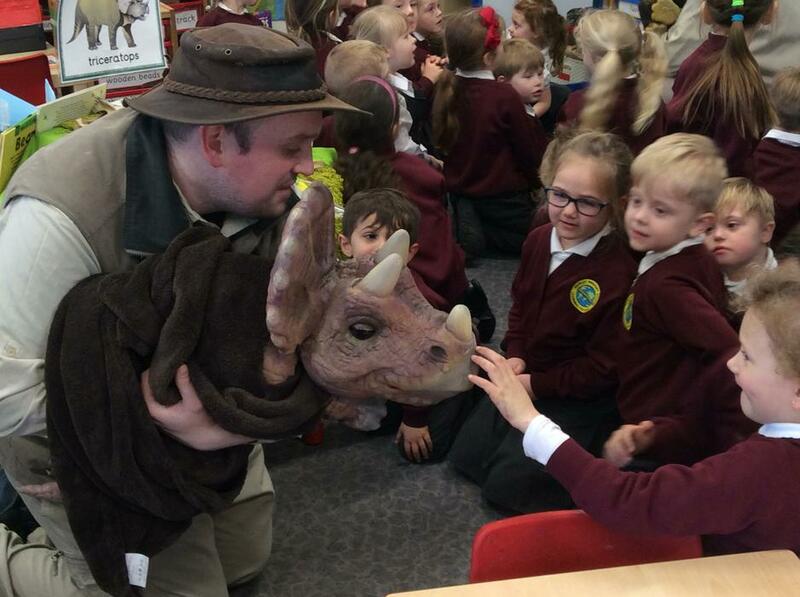 After lots of practise the children in EYFS performed their nativity play, The Innkeeper's Breakfast, to their families and friends in early December. 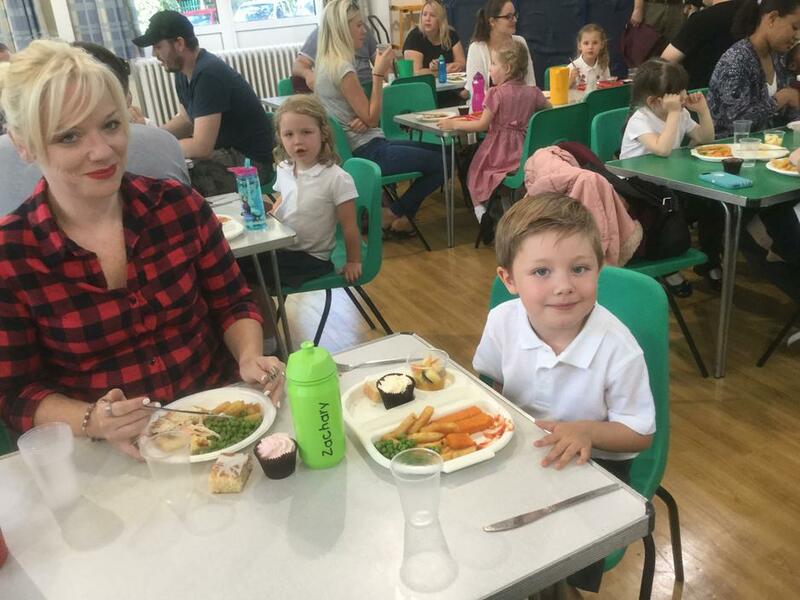 The children in EYFS all enjoyed their first morning at school and were pleased to be joined by their parents for a First Day Feast in the school hall at lunchtime.